8 YRS Jiangyin Jingu Machinery Mould Co., Ltd.
High speed screw thread rolling machine Used roll forming machine Pipe Screw Rolling making Machine Our Service High speed screw thread rolling machine Used roll forming machine Pipe Screw Rolling making Machine 1.Pre-sale Service, we can manufacture machines according to your requirement with your design, logo, color, material and brand information. 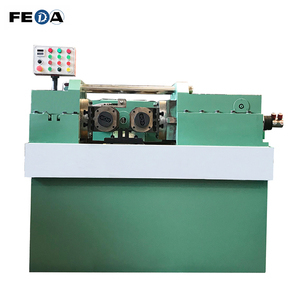 High speed screw thread rolling machine Used roll forming machine Pipe Screw Rolling making Machine After-Sales Service * Training how to instal the machine, training how to use the machine. High speed screw thread rolling machine Used roll forming machine Pipe Screw Rolling making Machine Contact 24 hours severice! 3 YRS Xuchang Yuneng Electrical Insulation Co., Ltd.
6 YRS Hebei Mei Run Wire Mesh Products Co., Ltd. 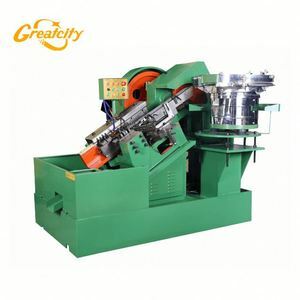 Product Name used rebar rib peeling parallel screw threading rolling machine Material carbon steel Color Green, blue, etc. It can process steel bar whose diameter is from 16mm to 14mm, and it can customized rebar diameter 14mm according to our client's requirements. 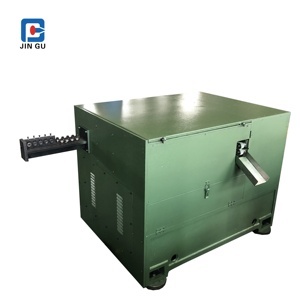 3), High efficiency: Upset forging and threading one joint only needs no more than one minute, and handy operation and quick link. 10 YRS Wuxi Pingsheng Science & Technology Co., Ltd.
* Extraordinary load operation will not damage mainmotor. * World famous brand products,Air motor's brand is TaiWan. 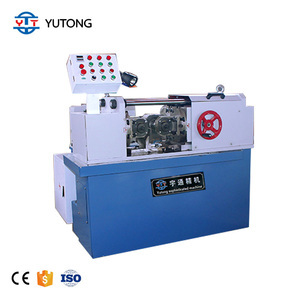 * Re-positioning fast, machining speed,high accuracy thread, and increased production capacity. 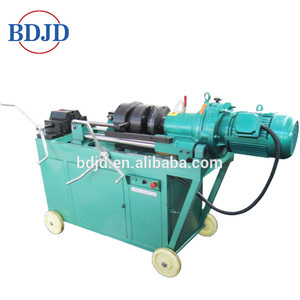 3 YRS Zhengzhou Delta Machinery Co., Ltd.
On sale a)test the machine to make sure it is in good condition. please tell us your sea port,we will check the shipping time within 5 minutes. guarantee time is 1 year in condition of non-human or non-malfunction damage. 7 YRS Gongyi Dongxing Material Trade Co., Ltd.
Alibaba.com offers 19,187 used screw machine products. About 6% of these are air-compressors, 4% are thread rolling machines, and 1% are capping machines. 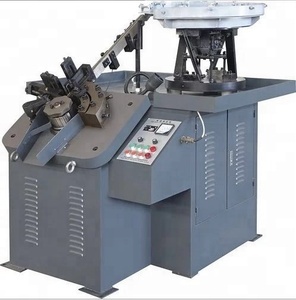 A wide variety of used screw machine options are available to you, such as free samples, paid samples. There are 19,187 used screw machine suppliers, mainly located in Asia. 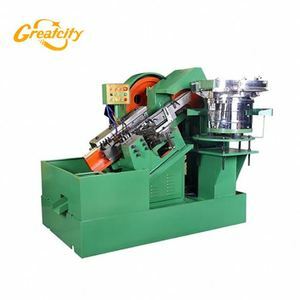 The top supplying country is China (Mainland), which supply 100% of used screw machine respectively. 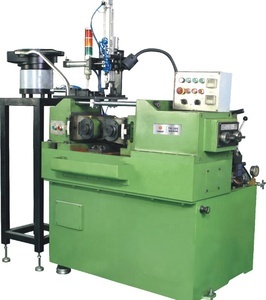 Used screw machine products are most popular in Domestic Market, Southeast Asia, and Mid East. You can ensure product safety by selecting from certified suppliers, including 5,720 with ISO9001, 2,977 with Other, and 467 with ISO14001 certification.